Back in house: Why local governments are bringing services home, a new report from the Columbia Institute, is about the emerging trend of remunicipalization. Services that were once outsourced are finding their way back home. Most often, they are coming home because in-house services cost less. The bottom-line premise of cost savings through outsourcing is not proving to be as advertised. Other reasons for insourcing include better quality control, flexibility, efficiency in operations, problems with contractors, increased staff capacity, better staff morale, and better support for vulnerable citizens. When services are brought back in house, local governments re-establish community control of public service delivery. 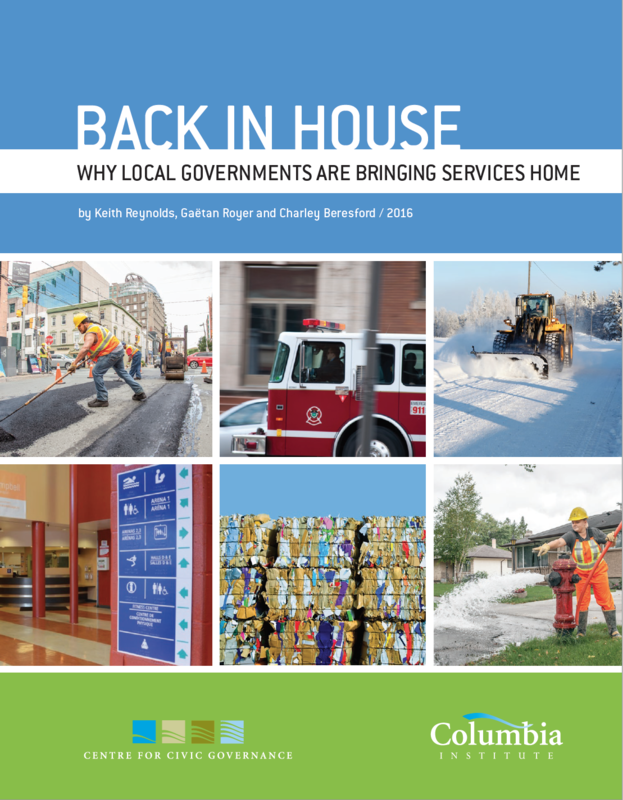 The report examines the Canadian environment for local governments, shares 15 Canadian case studies about returning services, follows-up and reports back on two earlier studies promoting contracted out services, provides a scan of international findings, and shares some best practices and governance checkpoints for bringing services back in house. Many of the local governments examined employ CUPE members. As part of our ongoing work to promote the value of publicly-delivered services, CUPE helped fund the production of the Columbia Institute report Back in house.